Speech Quest provides fun activities specifically designed to support children who are experiencing difficulties with their communication skills. Activities are provided in PDF format so you can print them out for convenience. 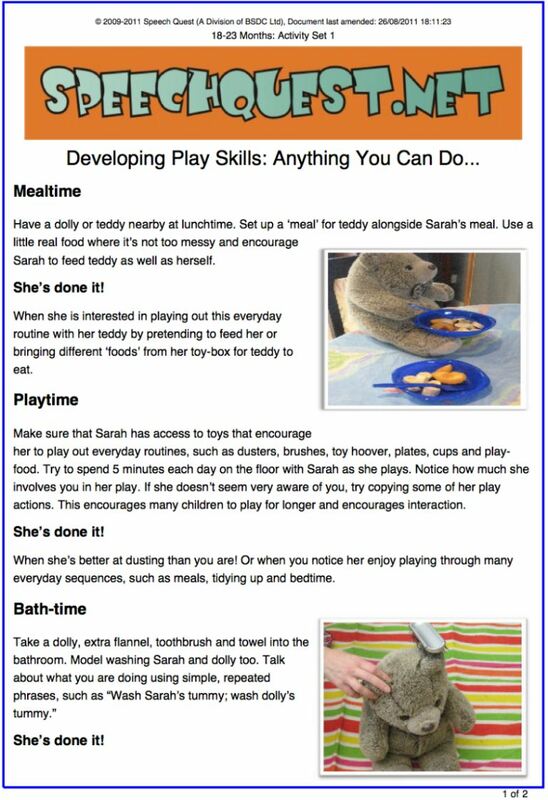 Activity Record Sheets are also provided in PDF format so that you can monitor your child’s progress.